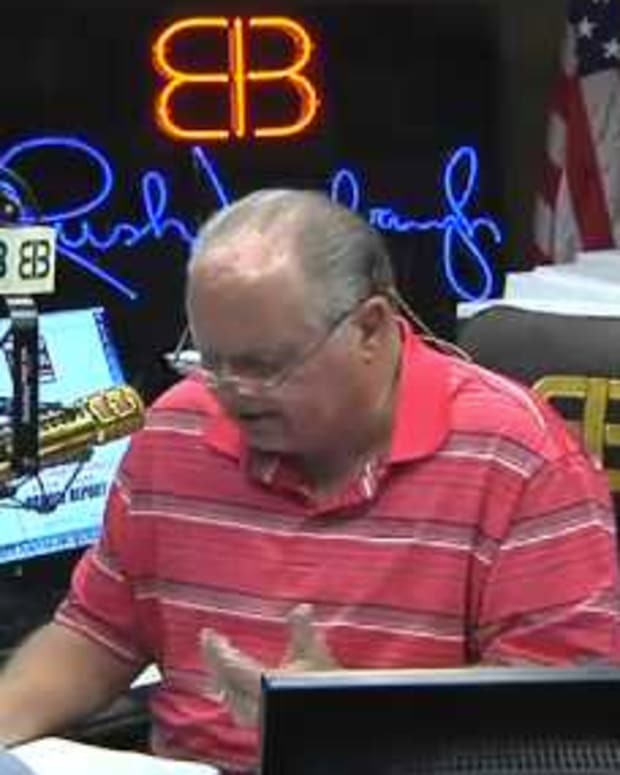 Rush Limbaugh Blames Obama for Failed NFL Ownership Bid? Conservative (and controversial) radio talk show host Rush Limbaugh has fired back after getting unceremoniously dropped from a group looking to buy the NFL&apos;s St. Louis Rams. In Limbaugh&apos;s words, what happened to him during the last week, was an illustration of "Obama’s America on full display." The host spent about the first 15 minutes of his show countering those who had criticized his bid to become a part owner in the nation&apos;s most popular sports league. Limbaugh said that the NFL Players Association and new Executive Director DeMaurice Smith made a scapegoat out of him to gain leverage for future negotiations of the Collective Bargaining Agreement. Limbaugh during his show: "I don’t know how many players know this, but Mr. Smith has let it be known that if he has to he’ll bring the White House into this. He’ll bring the Congressional Black Caucus into this.